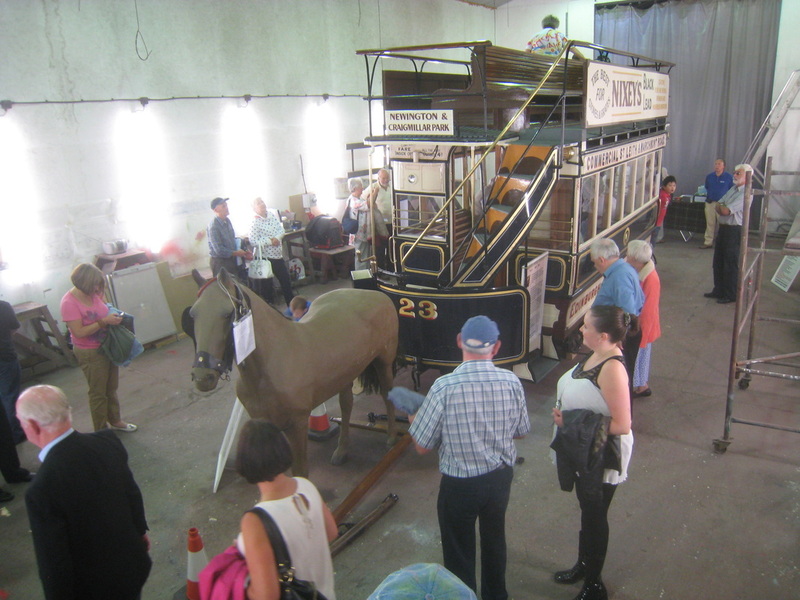 This old horse-drawn tramcar was built by the coachbuilders of the Edinburgh Street Tramways Co c1885, at their workshops at Shrubhill, near Pilrig. Initially it was used on a route between Commercial Street Leith and the top of Marchmont Road. 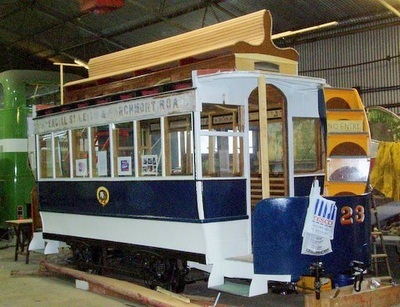 When the car was built, each different route was identified by a different main colour, and that used for this car was royal blue. Other routes used red, green, yellow, white, etc, there being eventually some 12 different permutations. 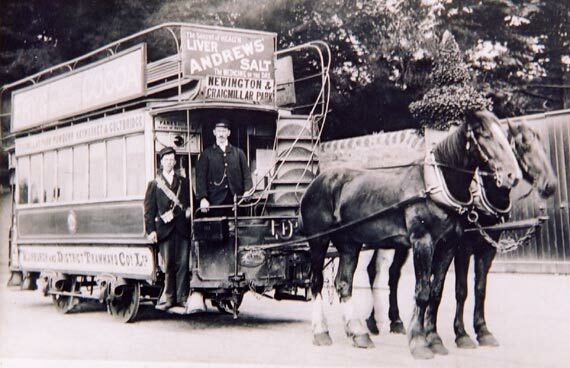 It was drawn by two horses, but to surmount some of Edinburgh’s hills, an extra one – or sometimes two – was necessary. 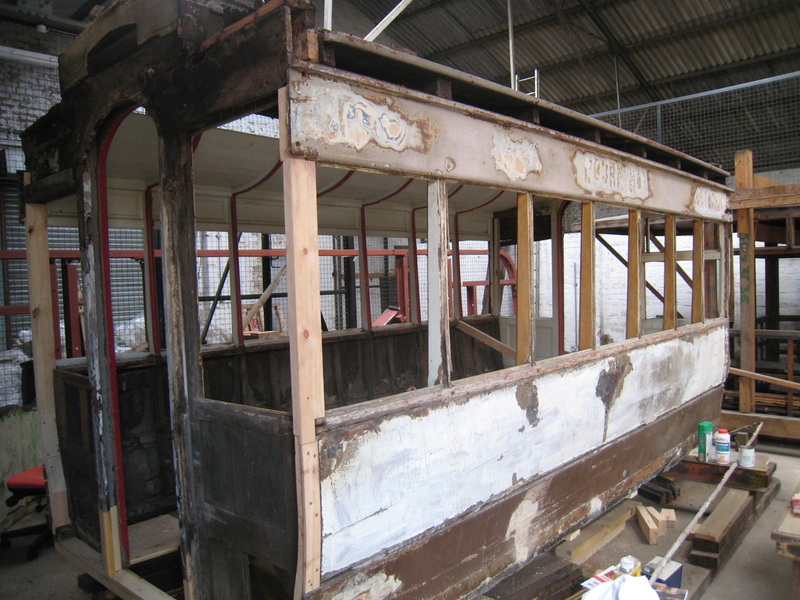 The identity of the car has been established and its livery was found under many layers of protective paint. 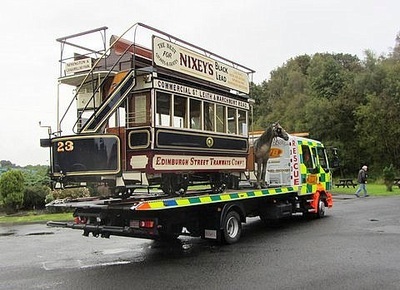 In 1896 ownership of the tram passed to the Edinburgh District Tramways Company and evidence of the livery of the new owners was found and has been replicated accurately. 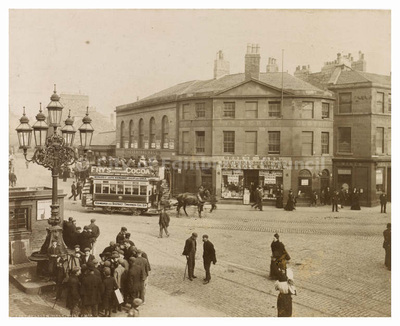 By 1900 cable-hauled cars were replacing the horse drawn variety, and the saloon of the old car was sold to a householder at Newtown St Boswells in the Scottish Border Region. 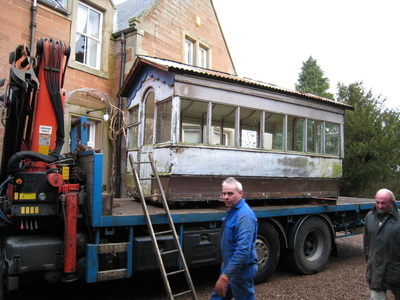 The old tram sat in its new resting place for over one hundred years, until, in 2005 the owners of the house, Mr. & Mrs. French, decided to try to identify their rather odd summer house. 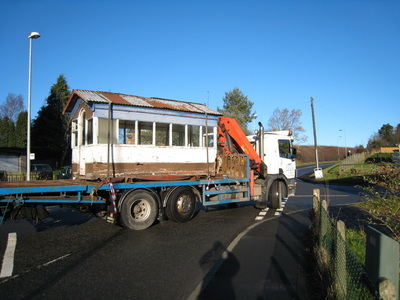 It was thought that it might have some railway connection, so enquiry was initially directed to the Scottish Railway Preservation Society, based at Bo’ness. Their John Burnie passed the enquiry to Alan Brotchie, who – having looked closely at the ‘find’, considered that this was the saloon of an old tramcar – more than that was impossible to establish at that time. As it had been well protected from the elements, it was considered that, restoration was practicable and a Trust was formed with this object. 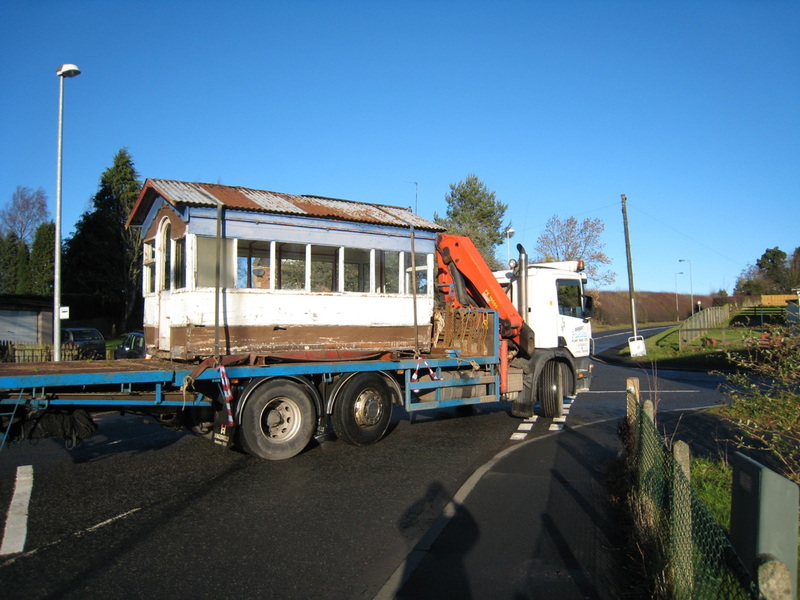 The tram was moved to Edinburgh in January 2007 where work commenced – on assessment and costing for the project. 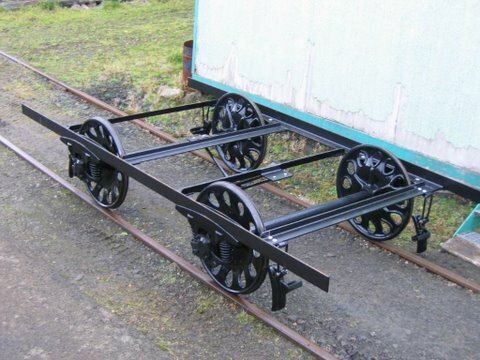 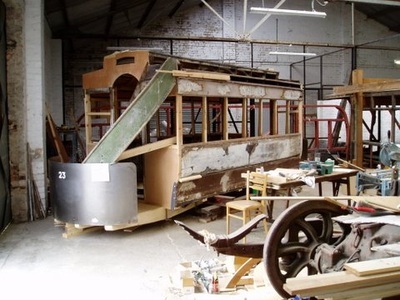 Progress was aided by the acquisition in March 2008 of the underframe and running gear of a redundant horse tram (number 46) which had originally been part of the fleet of Douglas Corporation in the Isle of Man. 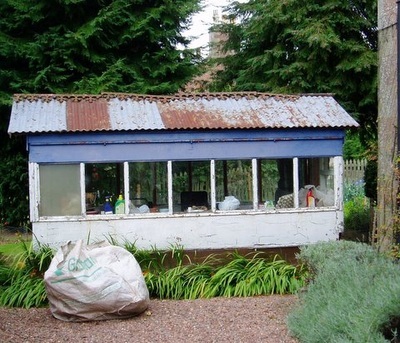 This was skillfully altered and regauged by the Shed 47 Group here at Lathalmond. 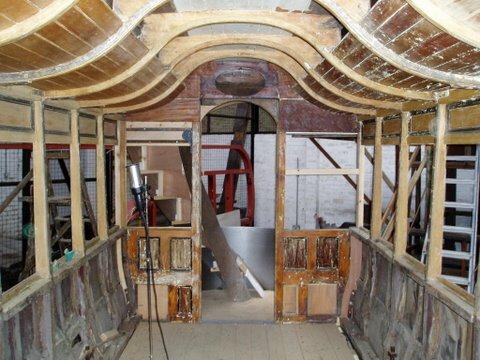 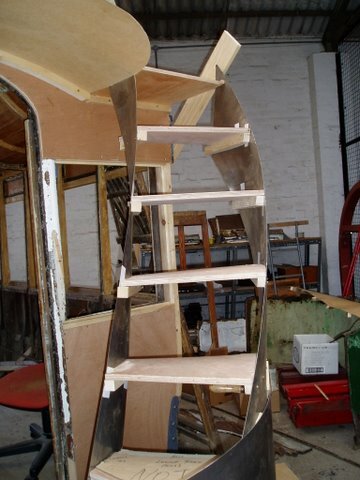 Replacing distressed woodwork and creation from new of the missing platforms, stairs, and top deck seating has been expertly undertaken by Douglas Scoular. 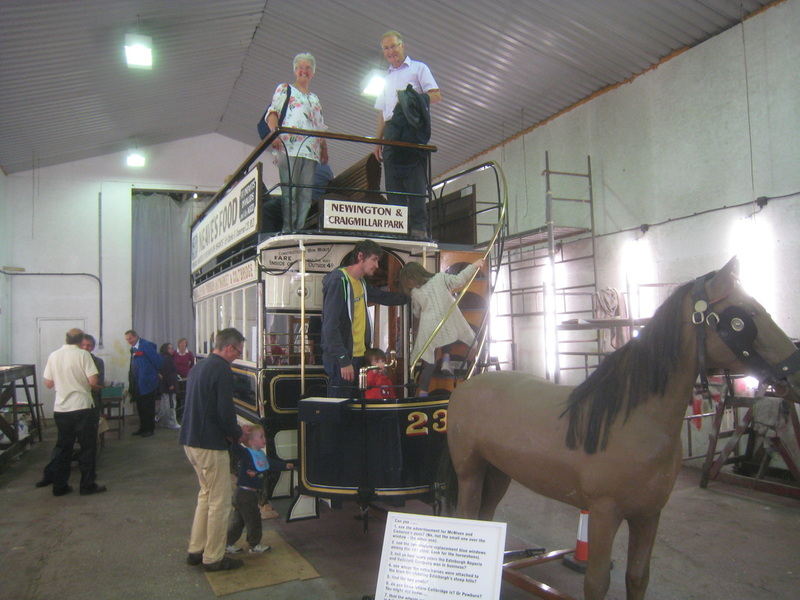 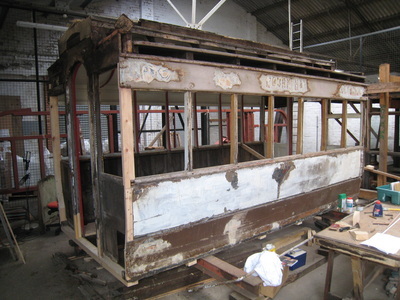 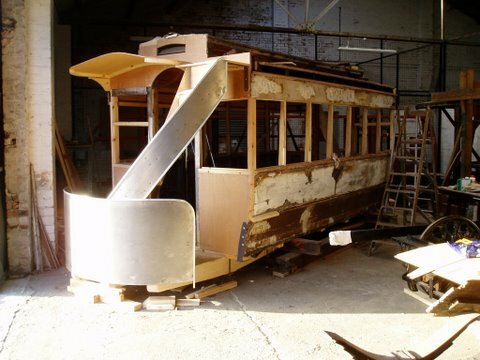 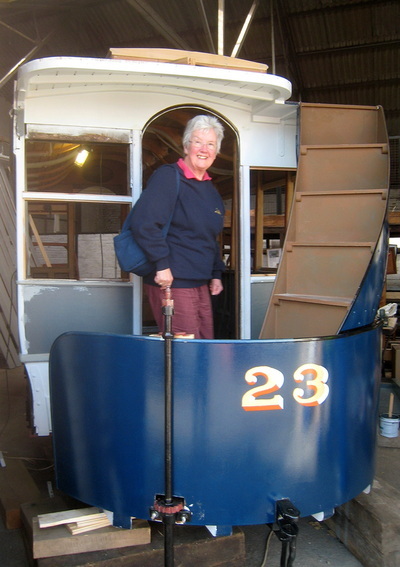 In May 2011 the tram was moved to Scottish Bus Museum in Lathalmond where work continued. In the paint shop Peter Mitchell has achieved the highest possible rendition of the paintwork, using examples from the original vehicle to ensure absolute accuracy. 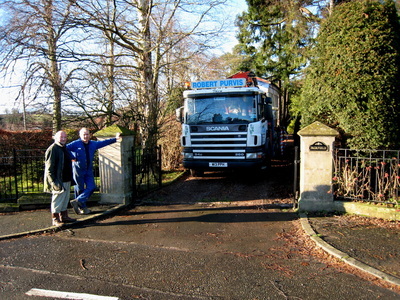 Blacksmith work has been undertaken here also, by Roemac Ltd, Fife County Gates, and Andy Crockett. It is the skills of these professional craftsmen in this century which have re-created and replicated those of the original coachbuilders who constructed the vehicle in the nineteenth century in Edinburgh.